Rajasthan GK Question in Hindi Sample Paper 77: Rajasthan General Knowledge Sample Question Paper with Collection 20 Question No. 1941 to Q.1960 of Rajasthan GK Questions under GK Quiz in PDF @ Rajasthan GK Sample Papers. Rajasthan General Knowledge (GK) and General Studies (GS) Questions from various examinations of Rajasthan Govt. and central Govt. 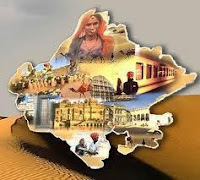 Here is collection of Rajasthan GK Quiz in PDF Format for free download on Best website for Rajathan GK in India. Candidates ca download Rajasthan GK Sample paper in PDF Format for free from below website link.